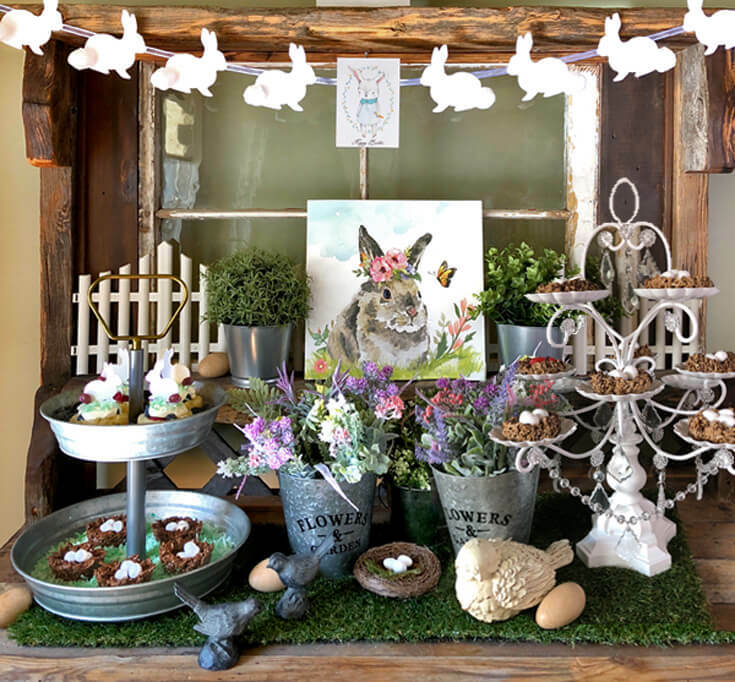 Who doesn’t love a sweet little bird nest treat for Easter!? 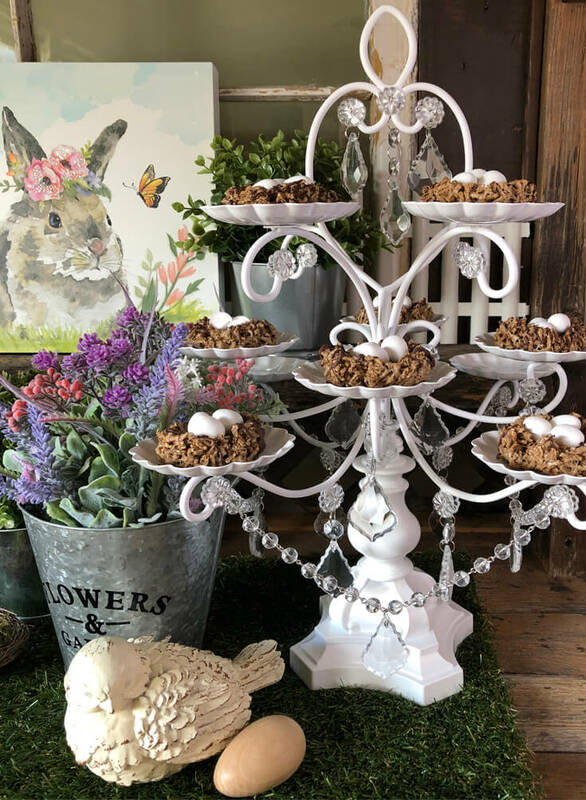 These marshmallow cereal bird nest treats were a hit at my house and I wanted to share them with all of you! Since it’s basically a rice crispy treat you don’t even really need a recipe but just in case I’ve got you covered! I just added my own little twist to try and make it just a teensy bit healthier by using bran cereal instead of fried chow mein noodles! 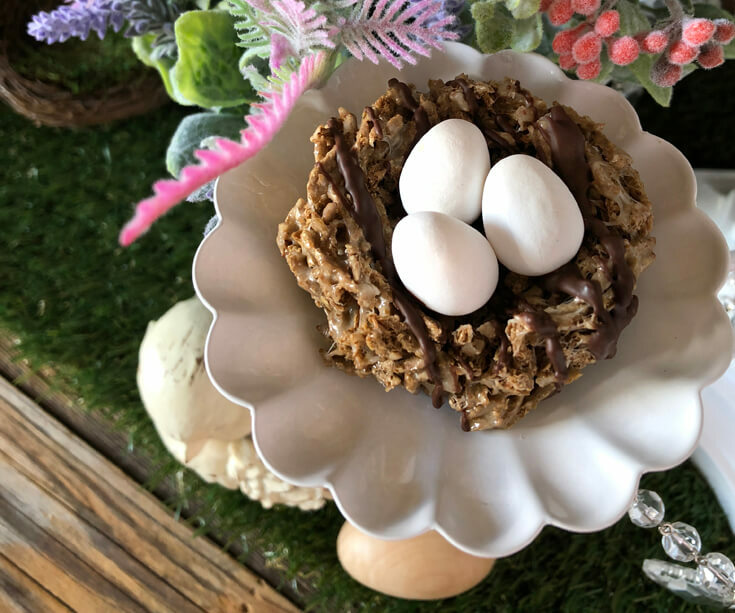 These aren’t quite as sweet as my Chocolate peanut butter butterscotch nests and they look a little more realistic which I like! Melt marshmallows and butter on low heat stirring continuously to prevent scorching. Measure cereal out into a large bowl and pour melted marshmallows over the top. With a large spoon stir cereal until well mixed and evenly coated with marshmallow. Make a disk shape with sticky cereal approximately 5" across and use your thumbs to push up sides creating the nest shape. You will want to work fairly quickly so the cereal is still pliable by the last nest. Once all 10 nests are created melt chocolate chips in microwave in 30 second bursts, stirring between. When melted add 1/2 tsp of vegetable oil and stir well. 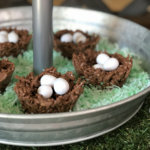 Using your spoon drizzle chocolate across the tops of all the nests and let harden. Store in an airtight container but best if eaten the same day. 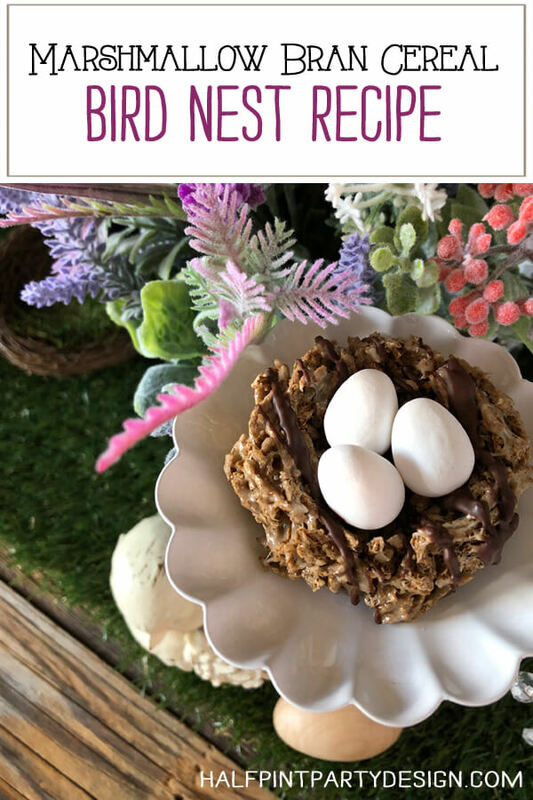 Put your rice crispy making skills to the test for this Marshmallow Cereal Bird Nest recipe! 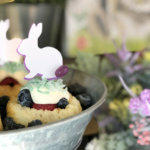 Use bran cereal to up the healthy factor and make darling little spring treats.